A Pastor's Thoughts (Fr. Ed Namiotka): How's Your Lent? How is the season of Lent going for you? When we look introspectively, I hope that there is some recognizable difference in our lives during this designated sacred time. Lent is a call to a change of heart. It should not be life as usual for us, but rather a time for the traditional practices of prayer, fasting and almsgiving. The essence of prayer is communication with God. It is necessarily listening to the voice of God as much as it is talking to God. What is God saying to me today? Am I paying attention? God can speak through the Sacred Scriptures, in times of silence, through other people, in and through various life situations, even in the most unlikely of circumstances. God is constantly trying to communicate with us, inevitably in very subtle ways. I find that the most important requirement for effective prayer is making the time for it daily. Too often we can just go through our daily routines and not necessarily be aware of God's presence. God is constantly aware of each of us or we would cease to be. However, we do not reciprocate in like manner, given our limitations as finite creatures. We need to consciously bring our attention to the presence of God directing us and sustaining us. He is always present whether we realize it or not. 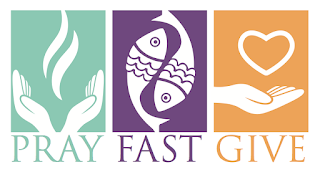 Fasting is a type of mortification or self-denial. I dare say our self-indulging, frequently hedonistic culture finds this quite unnecessary and probably repulsive. Maybe we may choose not to eat something if we are on a diet and want to lose some weight. But to do penance? To deny oneself? Forget about it! Instant gratification has been the false standard for far too many for far too long. I want it all and I want it now. Know anybody like this? It is the requirement of Jesus that His disciples deny themselves, pick up their crosses and follow Him. (See Mt. 16:24, Mk, 8:34, Lk. 9:23) His fast of 40 days and 40 nights in the desert gave us all an example of doing without. What eventually followed was His passion and sacrificial death on the cross. His self-denial led to His total self-giving. Our doing some form of penance can certainly be in reparation for our sins, to strengthen our will and resolve to do good, and to purify our motives. 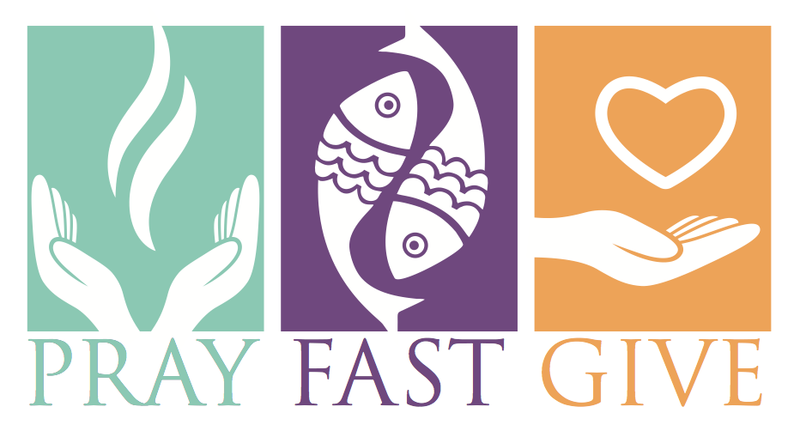 Prayer and fasting should lead us to be more charitable. Almsgiving refers to giving to the poor. No one is exempt from works of charity, which does not necessarily have to be money. We can give of our time and of our abilities as well. The Corporal and Spiritual Works of Mercy teach us concrete ways to put into practice our Christian charity. There is much waste in our society. Coming from a restaurant background, I recall the tremendous waste that I used to put into the trash after so many unfinished meals. We have excess, compared to other parts of the world. So many things that we own are literally disposable. With all of this in mind, I hope that we can cultivate a generous spirit towards those who are less fortunate than ourselves. I am convinced that God can never be outdone in generosity. As you continue your Lenten journey, do not give up on any attempt to improve even if things have not been going too well so far. With patience, perseverance and God's grace, we can reach Holy Week and Easter as a better, holier person!